SICO EVOLUTION PAINT SALE - Just $38.99/gallon until APRIL 17! Benjamin Moore's 2019 Colour of the Year is ... Metropolitan AF-690! Benjamin Moore's 2019 Colour Of The Year is .... Metropolitan AF-690! ""Comforting, composed and effortlessly sophisticated, Metropolitan AF-690 exudes beauty and balance,” says Ellen O’Neill, Benjamin Moore’s Director Of Strategic Design Intelligence. Benjamin Moore's 2019 Colour Trends palette was also announced. The 15-colour palette ranges from "ethereal neutrals to frothy pinks to rich blues and greens." SEE THE COLOUR PALETTE HERE. Maxxmar Window Fashions custom makes window coverings to meet any need. Award-winning shutters define excellence in innovation and quality for window coverings. 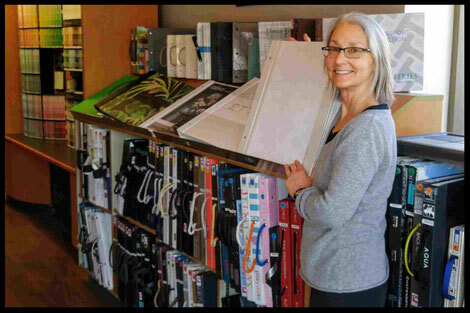 Come see Maxxmar’s extensive selection of shade products, including their proprietary opera system for sheers, shadings, roller shades, cellular, pleated, Roman and more. Also see Maxxmar’s collection of award-winning vertical and horizontal blinds from wood to faux wood to PVC. Their products feature exclusive child safety DECORSAFE options and are 100% Canadian made. ECO-FRIENDLY Maxxmar’s EnviroGreen products do not emit any VOC’s (Volatile Organic Compounds) or Formaldehyde into the environment. In addition, they are GreenGuard Indoor Air Quality certified for Children and Schools. 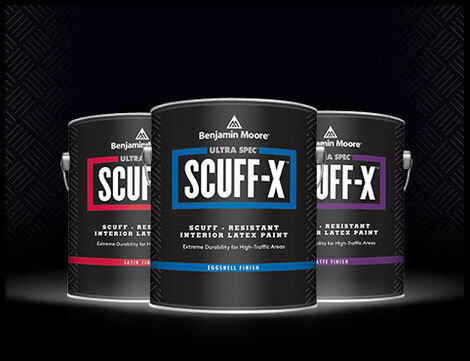 A NEW PRODUCT FROM BENJAMIN MOORE ... ULTRA SPEC® SCUFF-X® INTERIOR LATEX!!  SEE SCUFF-X® IN ACTION BELOW! Every month, new collections are added to our Wallpaper Book library. 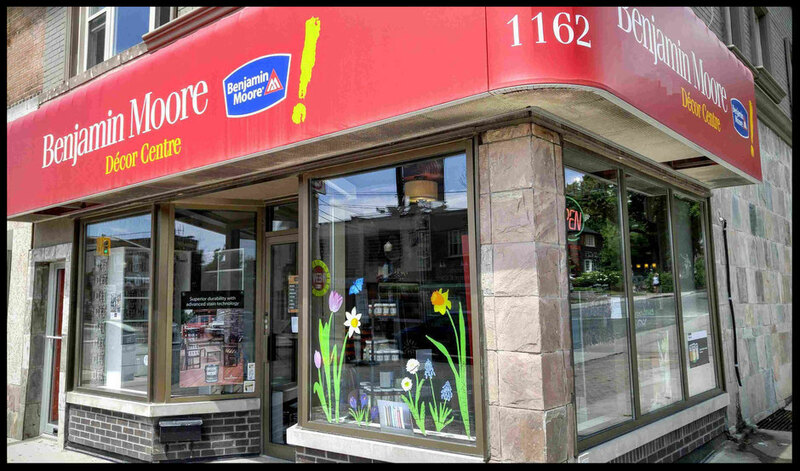 Visit us at 1162 Eglinton Ave W to see the exciting new arrivals and view the whole collection. Most books are available for 48-hour loan. Regularly check our blog Upper Village Life where we offer previews of the new collections. Catch a glimpse of the most recent arrivals here! BENJAMIN MOORE paints make the impossible, possible. Discover the adventure of colour. Create unique palettes for your home using high-quality Benjamin Moore paint. Keep pace with the latest trends and styles in colour. Benjamin Moore: Paint like no other. Give a touch of colour to your home with SICO! We offer an extensive range of high quality paint products and an exceptional colour palette to meet all your needs! 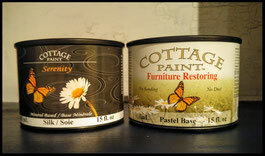 Upper Village Paint & Wallpaper features the exciting clay and mineral based COTTAGE PAINT line! Renew and restore your furniture so you can re-love it all over again. 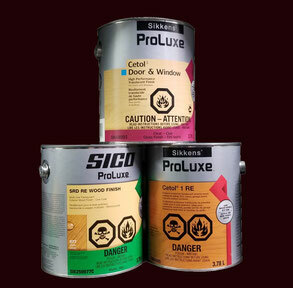 We also feature Cutek Extreme, SamaN and Sikkens® ProLuxe™ products for all wood staining projects.